The St. Louis convention is coming up soon! It is November 13-15. 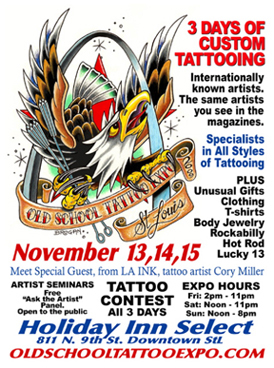 For details go to oldschooltattooexp.com. E-mail if you want to get an appointment. Spots are going fast. We only have a few openings left!